Great location! 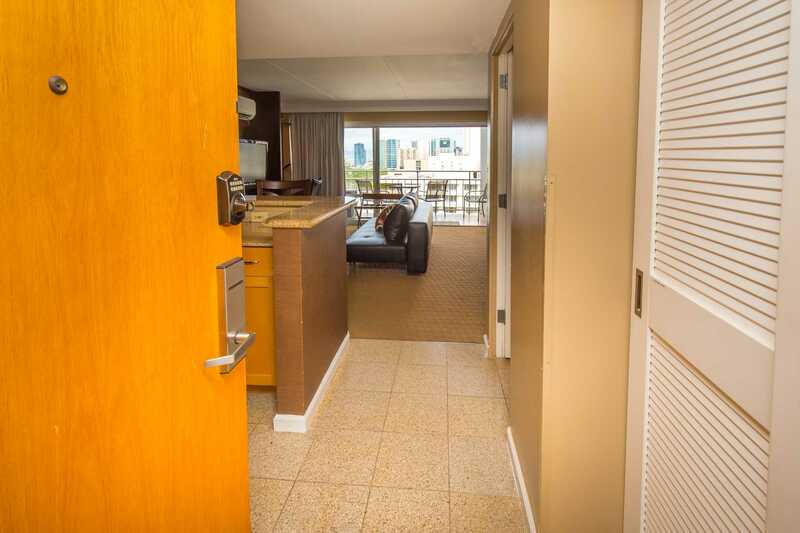 Very close to restaurants, excursions, and the beach. Would stay there again. Great harbour and ocean view ! Nice location and good value for the money. Take note that the parking garage is NOT connected to the building. It is a couple blocks over! Glad it was a good rental for you. 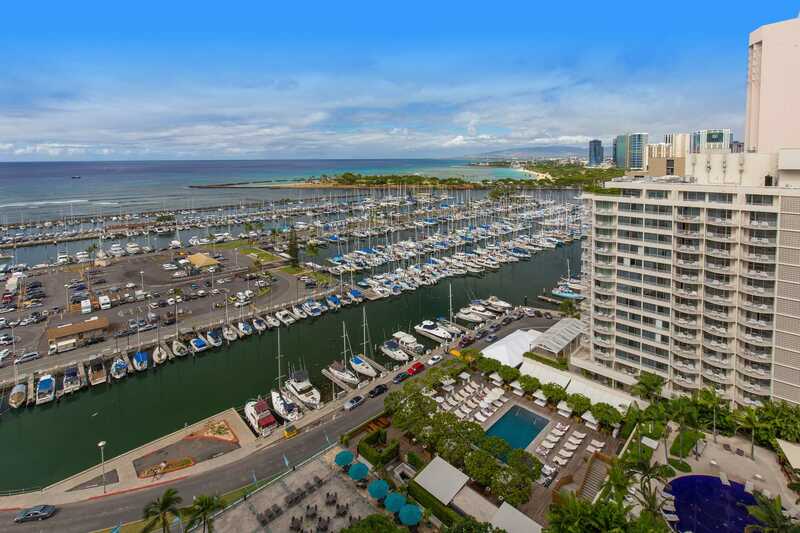 Please take note, the Ilikai Hotel has parking directly below the Hotel. 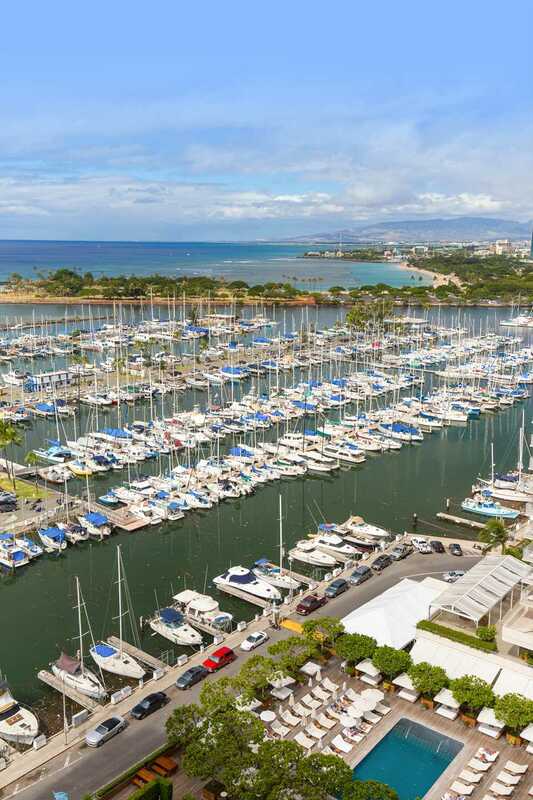 The Ilikai Marina is less expensive and is about a 4 minute walk. The view here is absolutely incredible! 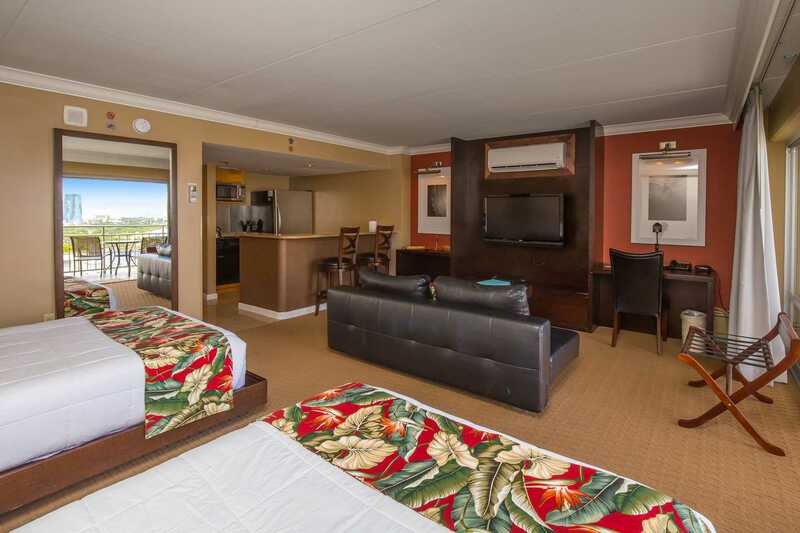 Ilikai vacation Kelly 9/1/18 The suite was large and spacious with fantastic sunset views and water views looking over the marina to the west. Kitchen was nice to have and living area comfortable. It was nice to have beach supplies to take to the beach and use. 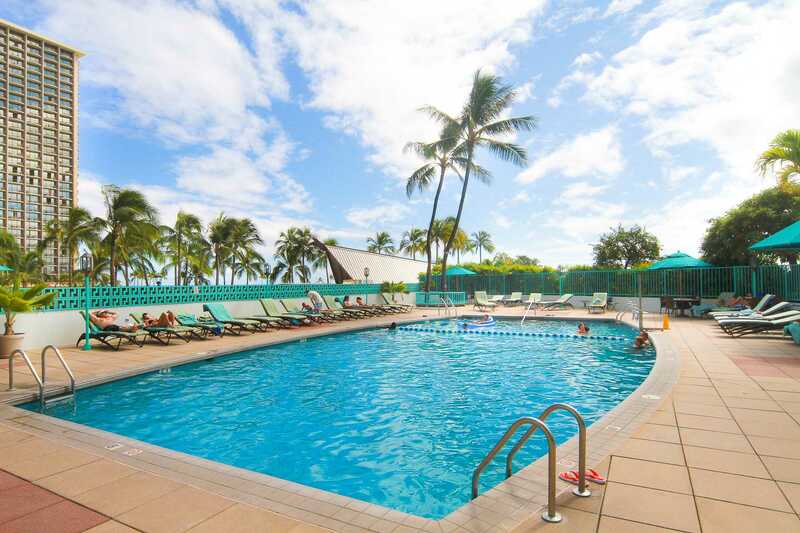 The Ilikai is a great property, pools could be larger.Lots of coffee and convenience stores in the area. 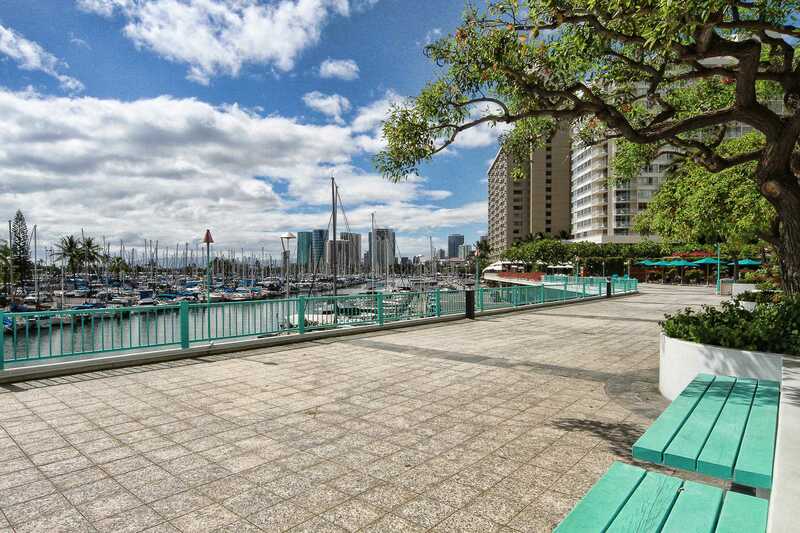 A short walk over the Ala Wai canal to the Ala Moana shopping centre and close to the lagoon and public beaches in front of the Hilton Village complex. 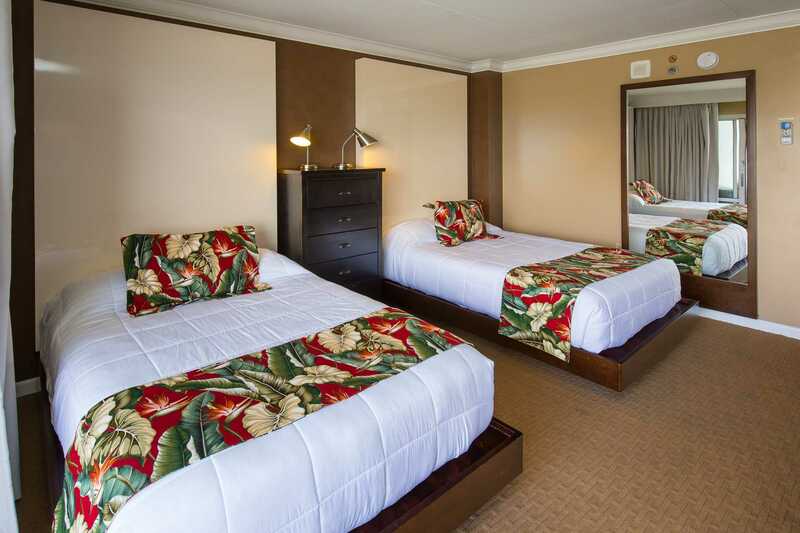 Nadine 8/1/18 Very well located and clean with the facilities of the hotel without the price, I would not hesitate to return during another stay in Oahu. Amazing view M Family 7/25/18 Amazing sunset view over the mariner and beyond. Love it is slightly out of the really busy tourist area but still close enough to everything. 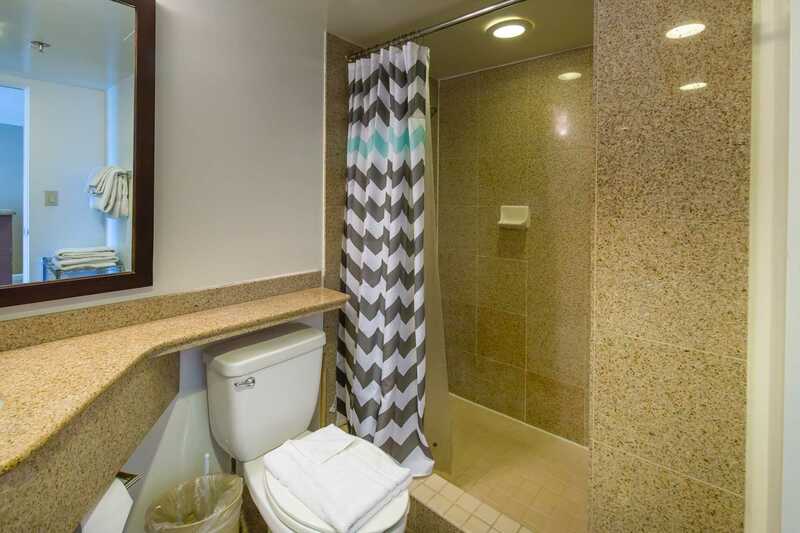 Spacious room and good size bathroom. We had 3 adults and a teenager staying and find it quite good to accomodate everyone. 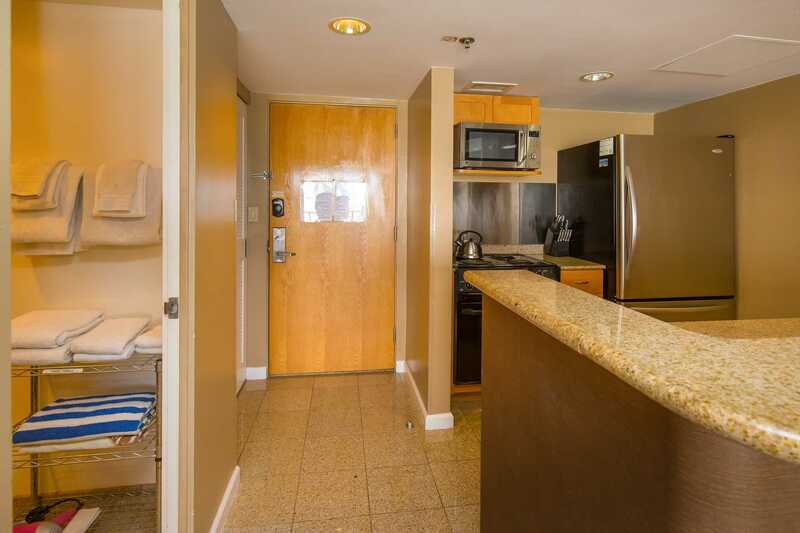 Large fridge, adequate cooking facilityAnd coffee machine and blender.Easy access to the unit with keyless entry.Great wi-fi.We were provided with good number of towels and beach towels.Everything worked perfectly. Great set up for a beach holiday.Some points to note:Have use of the pool. But pool closes quite early. No gym facility. Would be good to have a safe. Be careful not to drop anything on the balcony as it has a tendency to bounce over the floor of the balcony downstairs. The balcony barrier does not extend to the floor.Overall we had a great time!! Thanks. 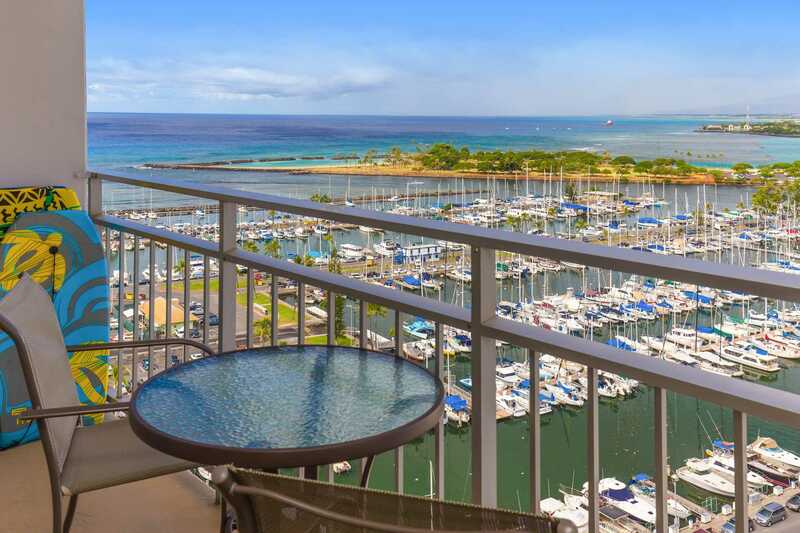 Would stay again Areil 7/9/18 Great location, excellent view of harbor, sunset, and July 4 fireworks show. Two double beds and a double sofabed easily accommodated our family of four (two adults and two teens) for four nights, albeit a bit cozy. A note on the sofabed: it is a nice, supportive fold-out arrangement, not a saggy, springy mess. Great if you like a firm bed as we do (we gave the kids the regular beds). AC was great to have, and ran quiet on low setting. Lovely lanai for morning coffee and evening views. Cable TV if you want it. Kitchen decently equipped - not amazing but does the job for breakfast, light cooking, and prep. Bathroom was clean and comfy - could use a vent, though, as it got pretty steamy after four showers! 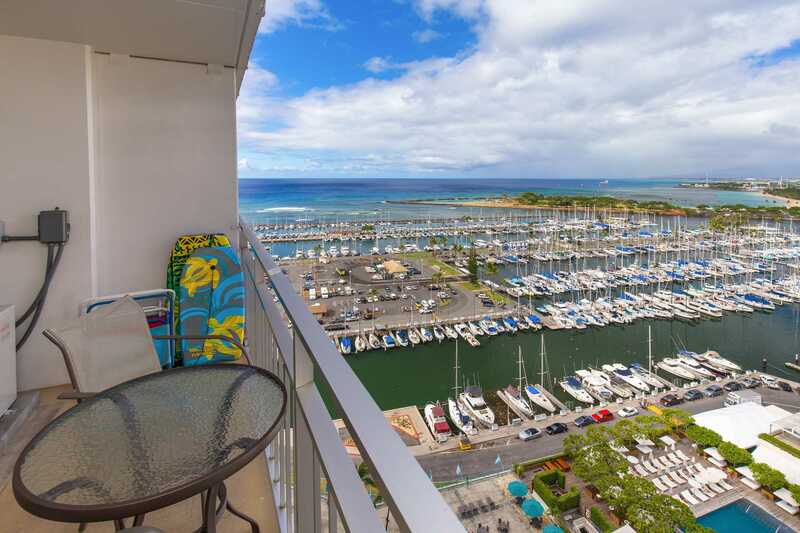 The Ilikai has a great location and nice amenities. ABC Stores nearby for groceries. Coin laundry down the hall. 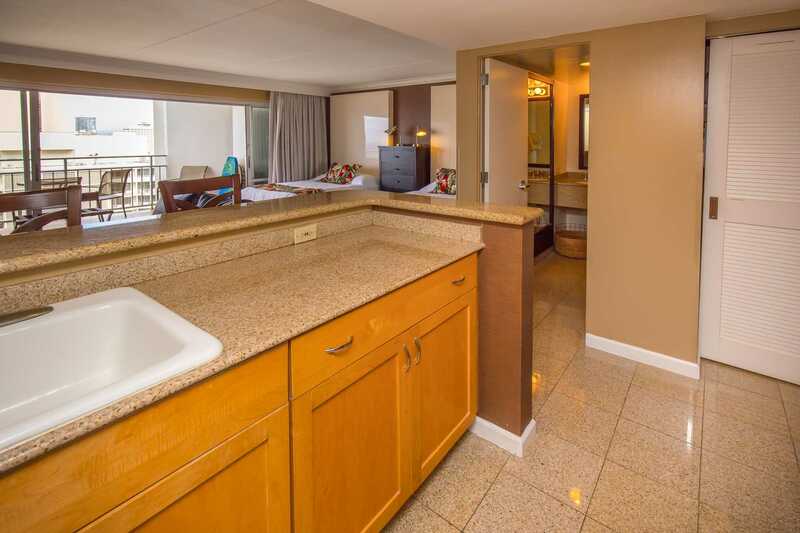 Would easily consider this unit or another again for a vacation in Honolulu. 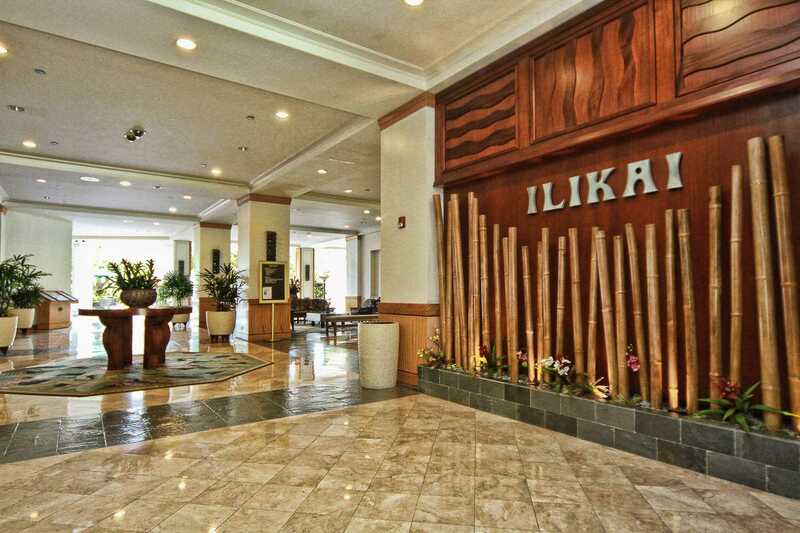 Great stay at the Illikai Ken 6/9/18 Our 2nd stay at the Illlikai and absolutely love it. The unit was just as described and everything is provided. Sandra 5/16/18 Fantastic location. 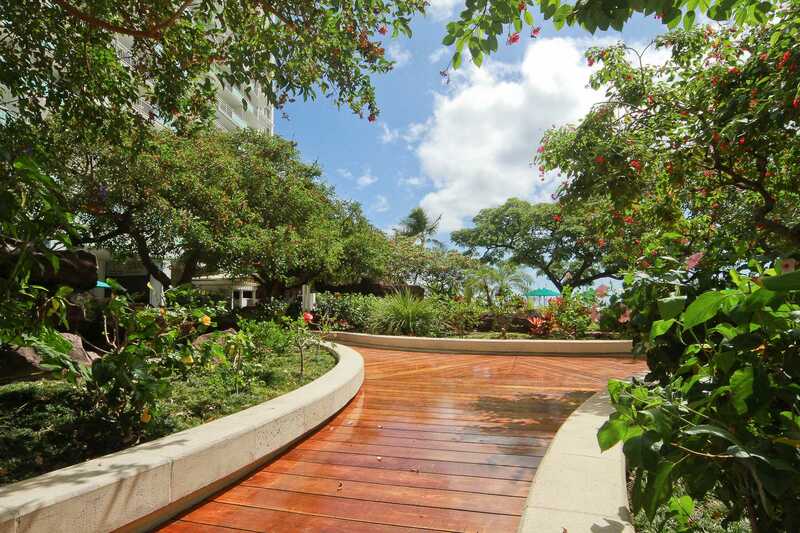 Walk to ala Moana, buses at doorstep for Waikiki or walk. Close to lagoon for kids and beach. Loved it and will be back. Clean, comfortable beds and kitchen is the most equipped I've seen in an air bnb. Illikai also has a great restaurant, cinnamons (try the pancakes) and breakfast/coffee cafe. Kathy 5/4/18 Great view, good location! 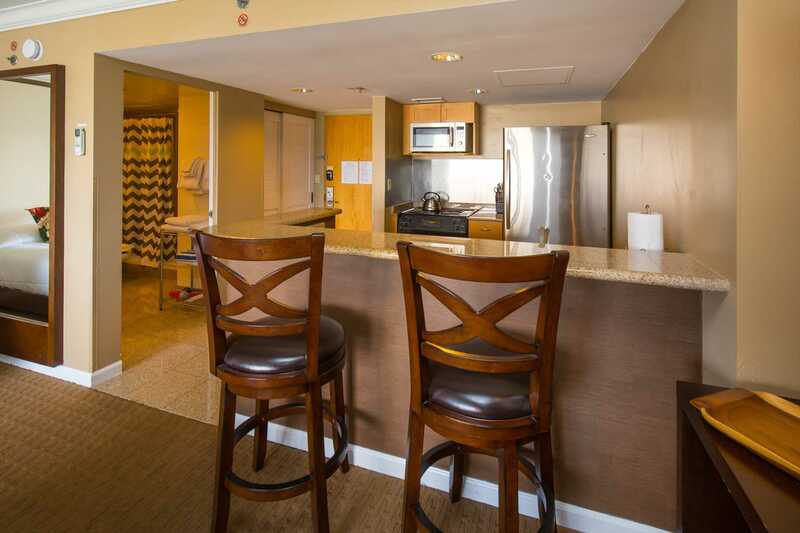 Guest review Corina 5/7/18 Fantastic stay, could not be any happier with our condo stay. We stayed from 11- 25 April 2018. The best views from the balcony of the marina/ ocean. Close to everything, beds were comfortable, kitchen was better than expected with coffee maker, toast, kettle, microwave, massive fridge & stove/oven. 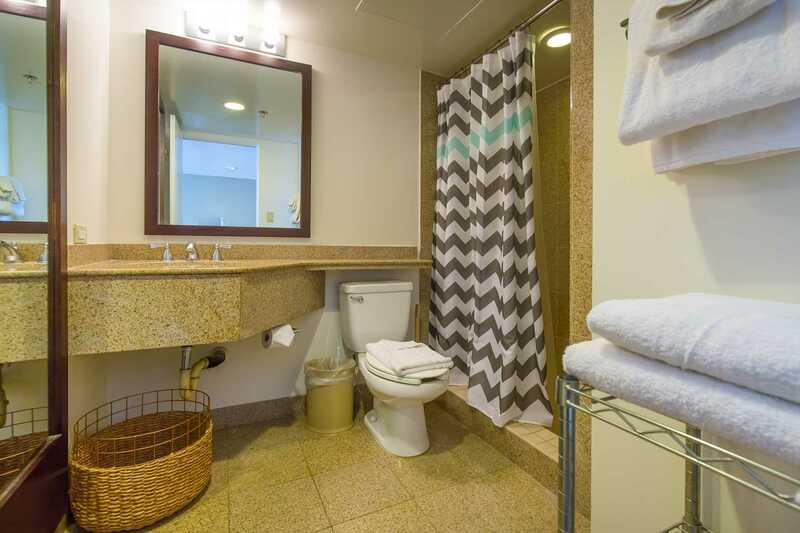 The bathroom was a great size, lots of towels supplied. No issues at all. The laundry facilities were great as well. 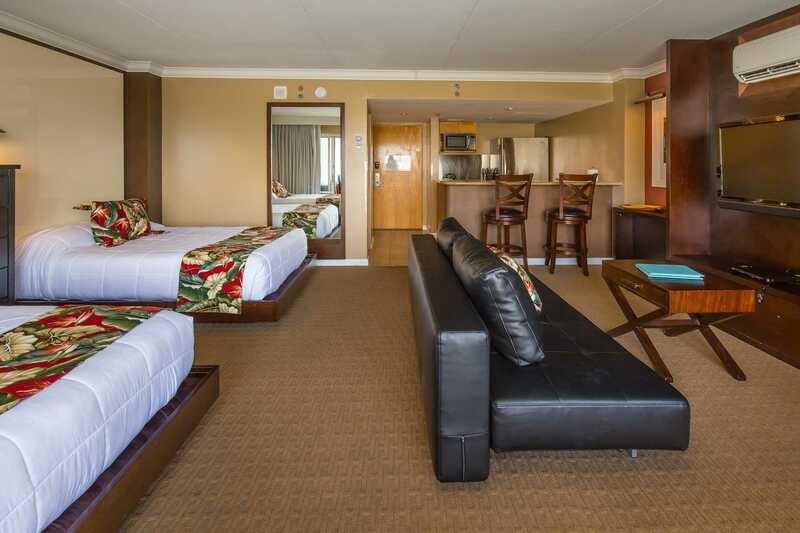 Would reccomend ilikai to anyone, we were really happy with our stay & room. The views were really quite beautiful. Kay 4/1/18 Very easy to use and the scenery is lovely! 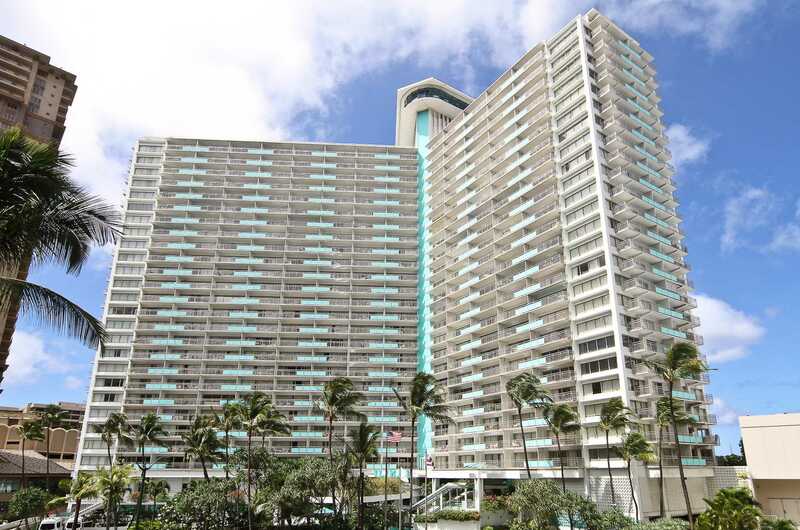 Min 2/15/18 Great location, next to Hilton village, access to beach, lagoon, swimming pool, and very close to downtown. 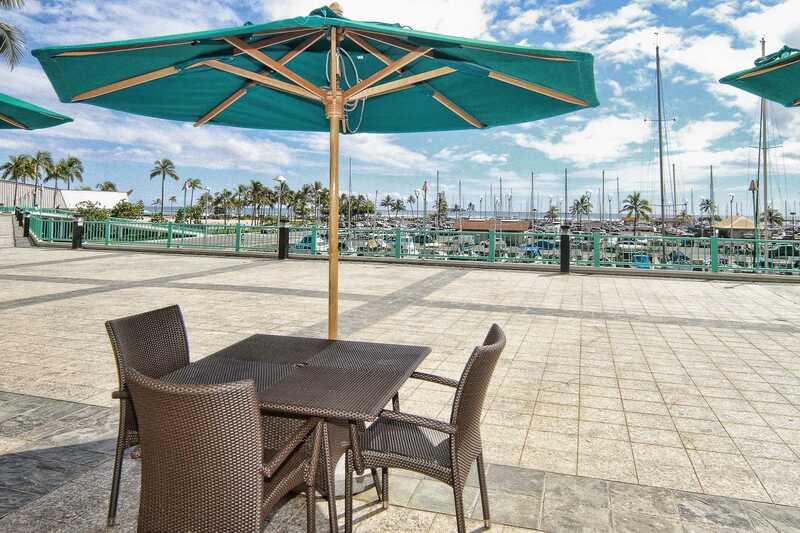 1/23/18 Natalie Awesome location, short walk to Alamoana shopping centre, and lagoon and beach. Great place with a fantastic view from the balcony. 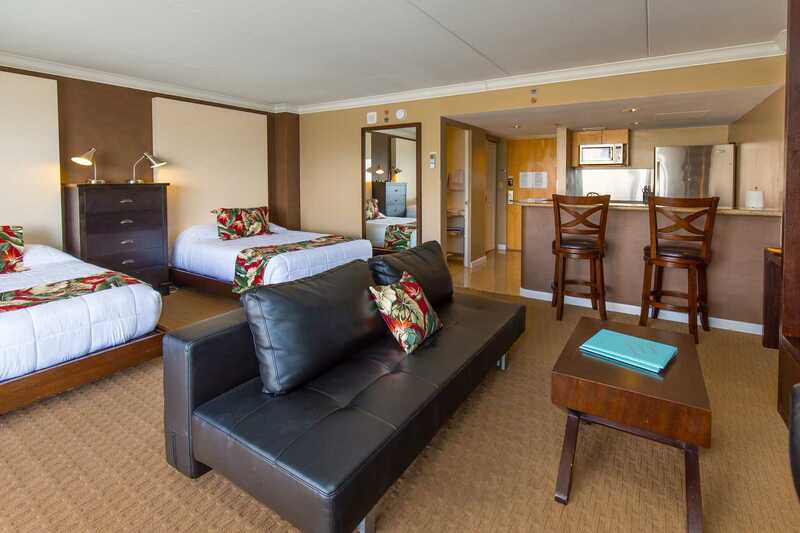 Comfortable beds and kitchen well equipped. We would definitely recommend this place and can't wait to return. Shigeru 1/12/18 location was awesome Great stay! Kaye 12/6/17 Made us feel very welcome! Had everything there that we needed to start our stay. Even beach items. 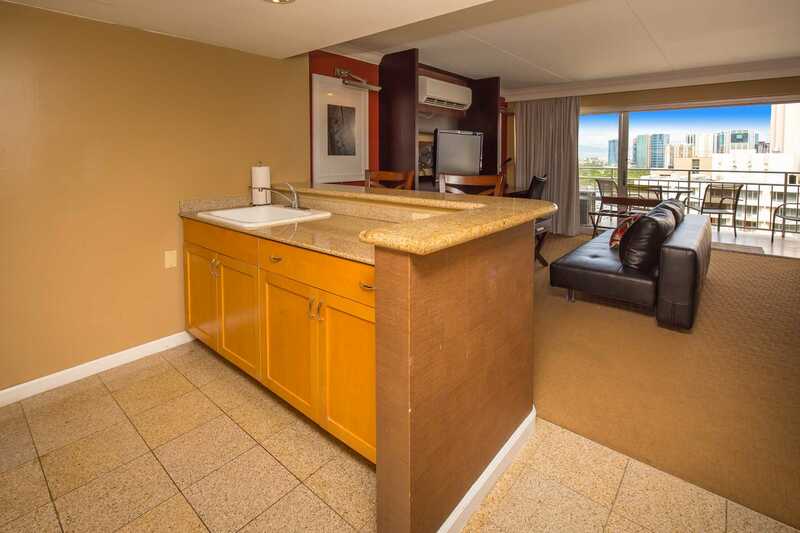 Nice, comfortable & clean condo with an amazing view! Beautiful sunsets every night. Central to walk to shopping, beach, marina and restaurants. Would recommend them and would stay with them again! 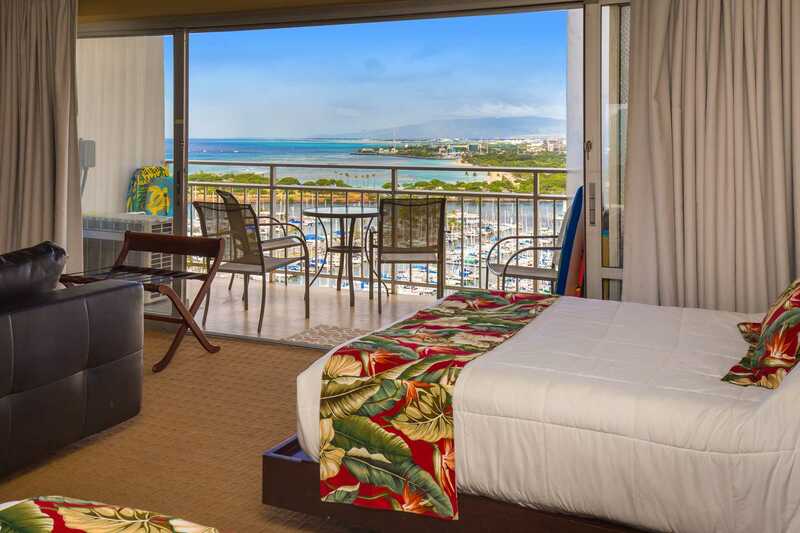 loved our stay in Ilikai 1927 Alan 11/16/17 The condo has a beautiful view and is very conveniently laid out. 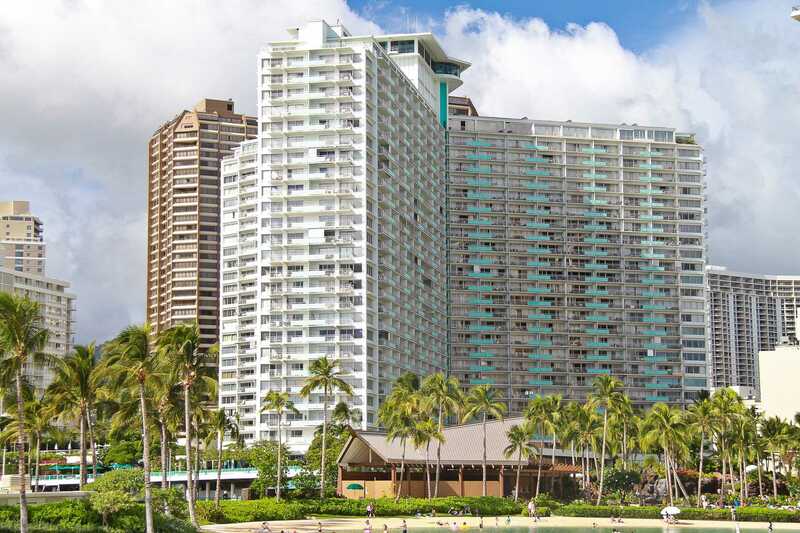 It's well located just out of the crowded part of Waikiki. But equally important, it was spotlessly clean and the management company generously supplied thoughtful and welcoming little touches like cleaning supplies, snacks, extra toilet paper, and other staples. We have stayed at this lovely unit before and appreciate working with this excellent management company. Ian 9/27/17 Great sunset views off balcony. Central location with beaches and shops within walking distance. Mireille 8/29/17 Fantastic location, Has everything that you may need. 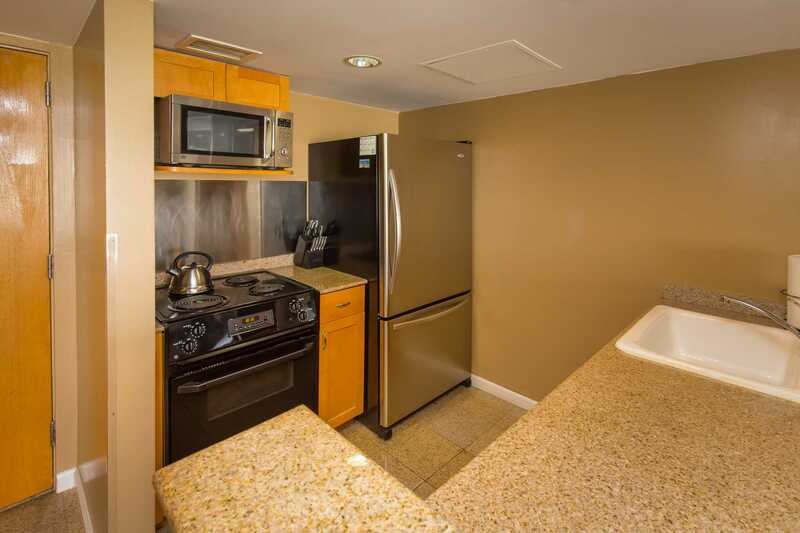 Great kitchenette. Overall great great place.. would definitely recommend this place to everyone. Already planning My next trip! Best location and nice room Kazu 8/14/17 Best location to beach, park and shopping as good price of the room.Everything are in your room even if you need some toys for kids on the beach.Two beds and one sofa bed, big enough for 2 adult and 2 kids.Room also clean enough for your stay nagy03@hotmail.com Jill 8/4/17 We recently stayed at the illikai suites and it was as expected. Great location, great amenities and really nice views. We enjoyed how close we were from everything. 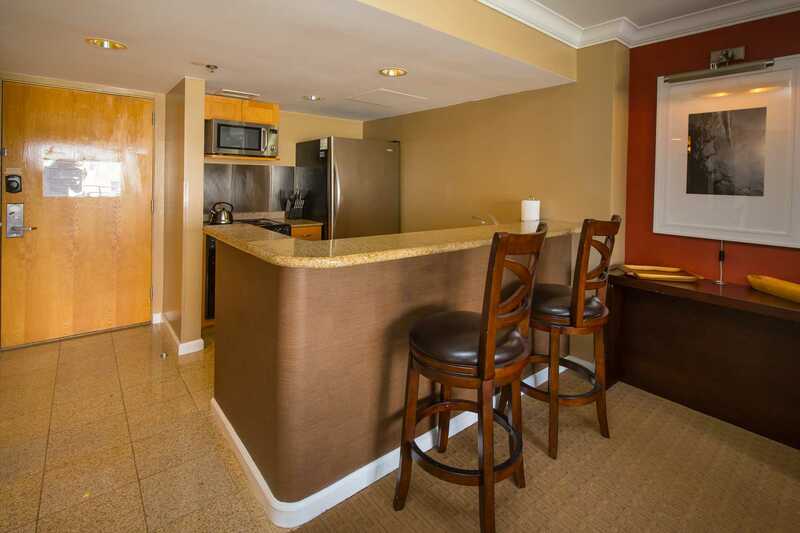 Beaches, mall, grocery stores...Really loved how comfortable the condo was. Highly recommend to anyone who wants to be close to the city but still feel like beach resort feel. Thank you for a wonderful stay! Kathy 6/23/17 I would definitely recommend this listing...The room was clean and had everything we needed. The location was great..Check in and out was easy and communication with the host was easy & swift...I would definitely go back... Thank you for a wonderful stay! Huijie 6/3/17 Nice place for our vacation stay. Value / cost is great! Close to the locations we wanted to visit, including shopping and restaurants. Would like to stay again for our next trip to Hawaii. 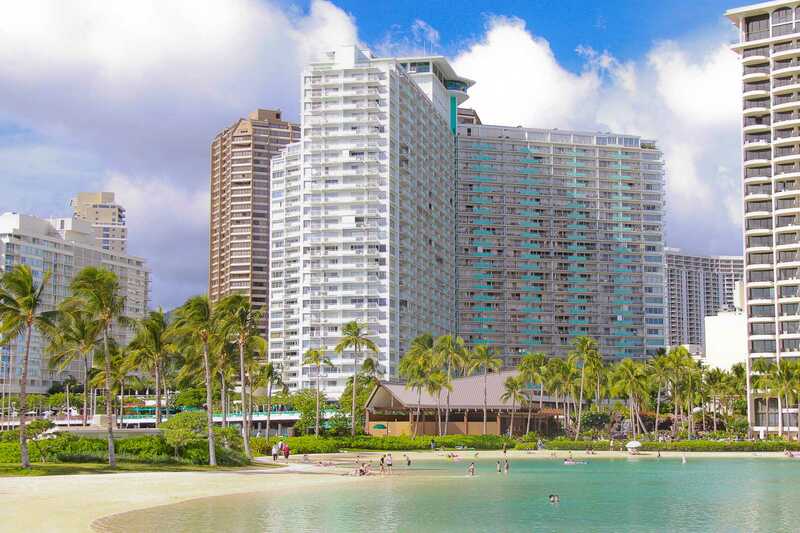 1927 Condo Lonny and Diana We are in Hawaii three or four times each year for business (which is really a pleasure). 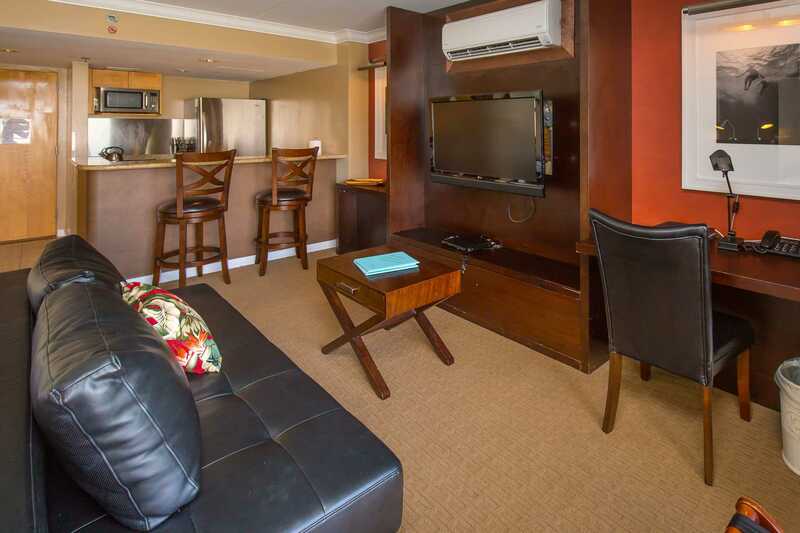 This condo would easily handle a family of five or two couples who know each other well! 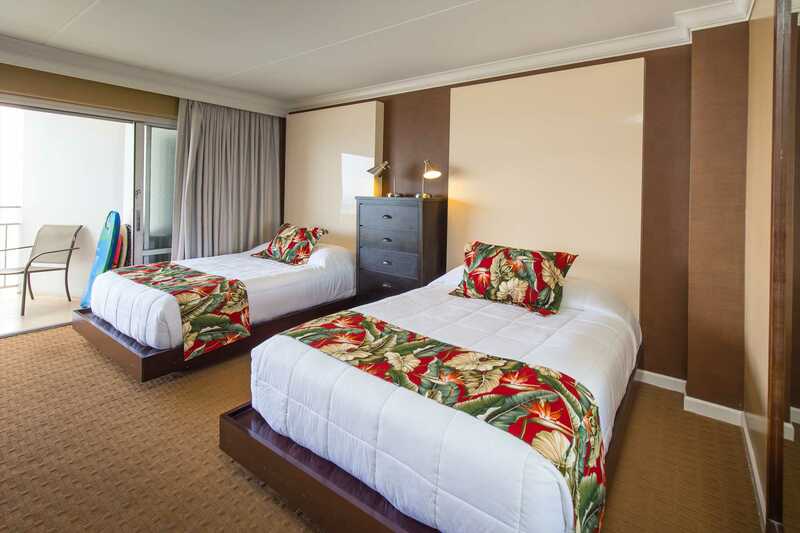 We have stayed at several other properties in Waikiki but always return to the Ilikai when it is available. 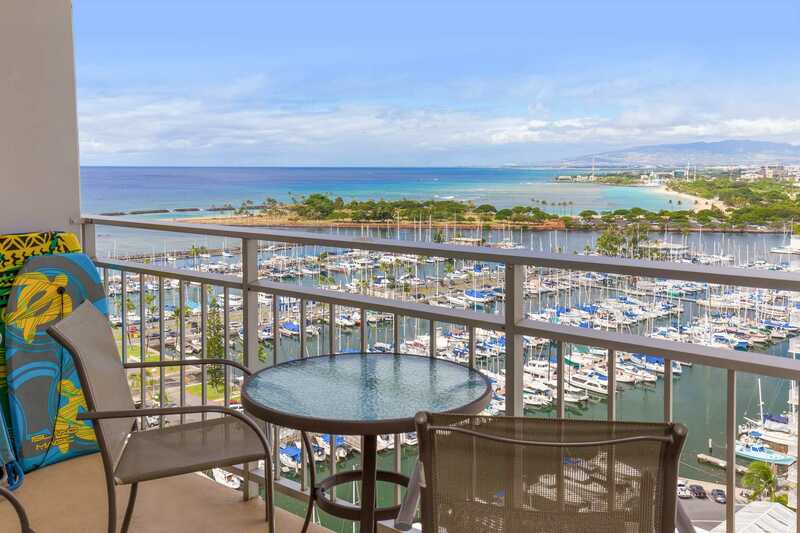 You won't find a better location unless you are at the other end near Diamond Head or the Gold Coast. 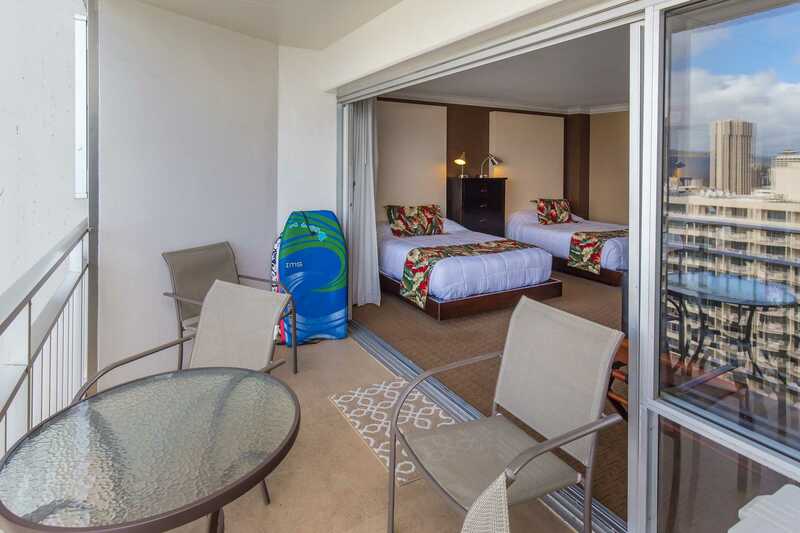 The condos typically have beach chairs, towels, grass mats and flotation devices. The kitchen makes it possible to stock up on fresh pineapple and papaya at Costco! Lonny 5/29/17 We enjoyed our stay very much and will see you again sometime this year! Ilikai Room #1927 Tania 4/19/17 We were a family and stayed for 12nights. 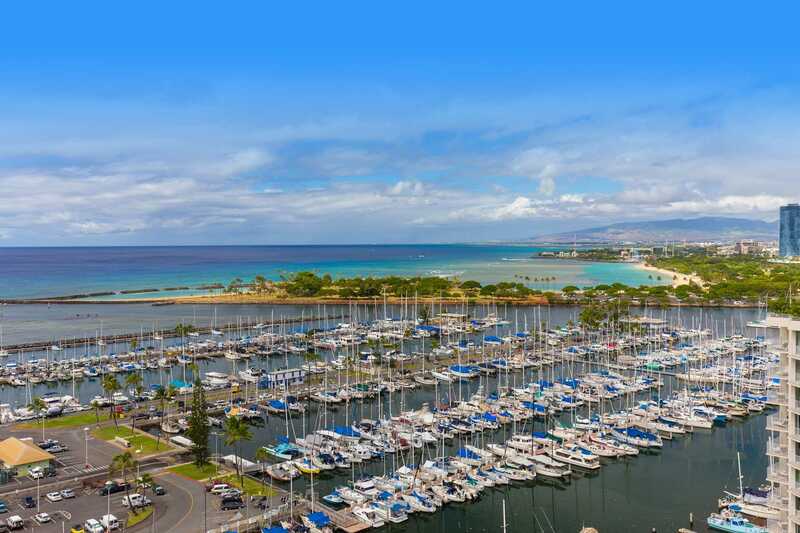 Great location and beautiful view of Waikiki Marina and the beach, no noise from below. The apartment was clean and tidy, great to have hair dryer, ironing board as well as laundry on every level. Would probably like more plates/bowls as we had five in the apartment and not enough for us. Beach towels, beach chairs and beach accessories were great. We liked the keyless entry which was easy for adults and children to come and go. 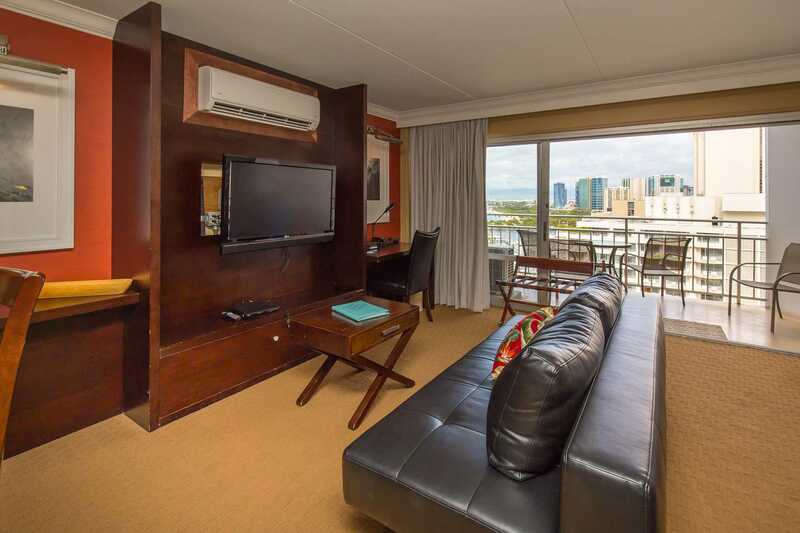 Overall great apartment, would stay here again and recommend to anyone travelling to Honolulu. Bren 4/10/17 "Great location!" Great Family Vacay! Joe 10/12/16 This w"Great location!" as our first trip to Hawaii and it was great! 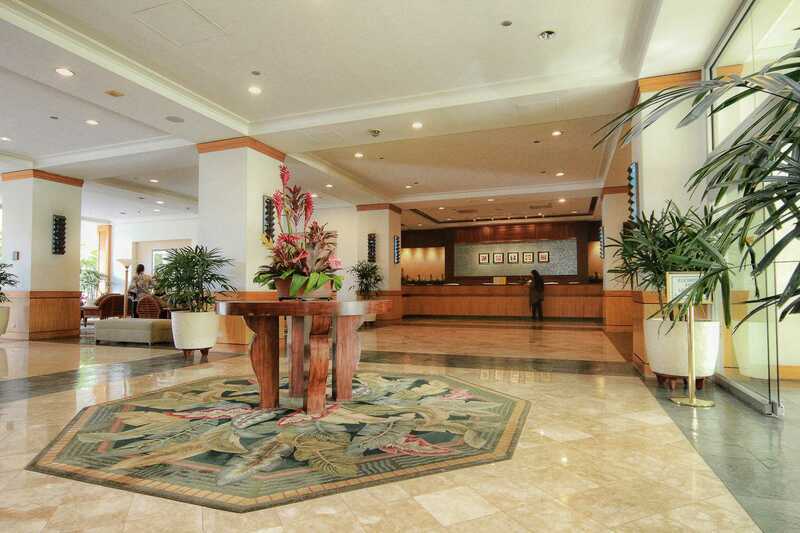 The condo building was perfectly located on Ala Moana - not too busy, close to eateries, walking distance to everything! The condo itself had beautiful views, as pictured and had everything we needed for a family of 5. Thank you!!! 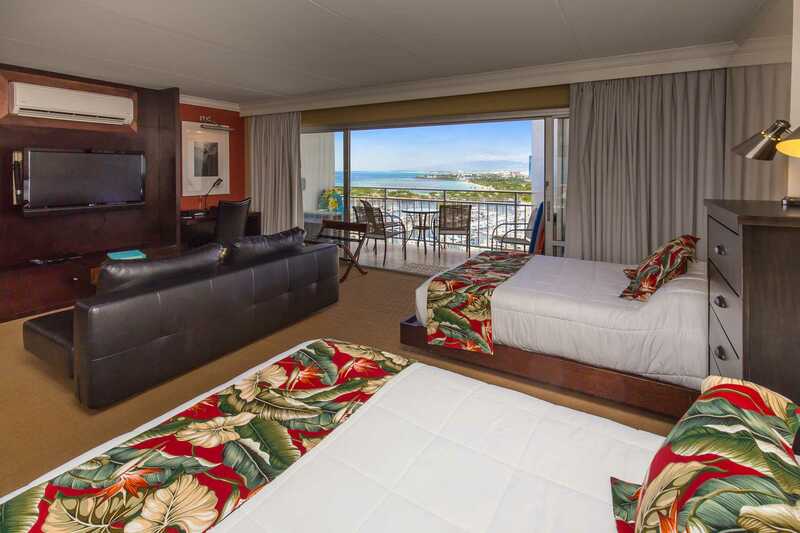 Holiday dream at Waikiki Krister 9/14/16 We, family of four, had a great stay at Ilikai. Apartment quite small but as presented with great location close to beaches and fantastic views! Facilities at the hotel were better than expected with several shops and restaurants in house and a great pool area. Parking was pricy but convenient. Great condo and location! 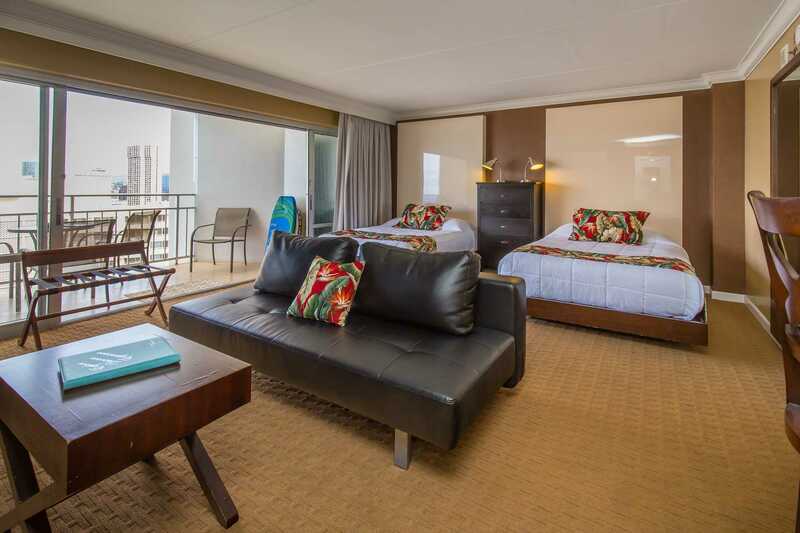 Jordan 5/9/16 Fabulous location - Ilikai is central, easy access for those wanting a simple laid back accommodation option for couples or a family. Lots to do nearby and the condo was well appointed, we ate in quite a bit and had everything we needed. Check in and property management company proactive and easy to deal with. Would recommend!!! Mahalo - we loved it! S E N S A C I O N A L !!!!!! Marcos 3/18/16 Ficamos no condo #1927; ficamos em 2 casais. 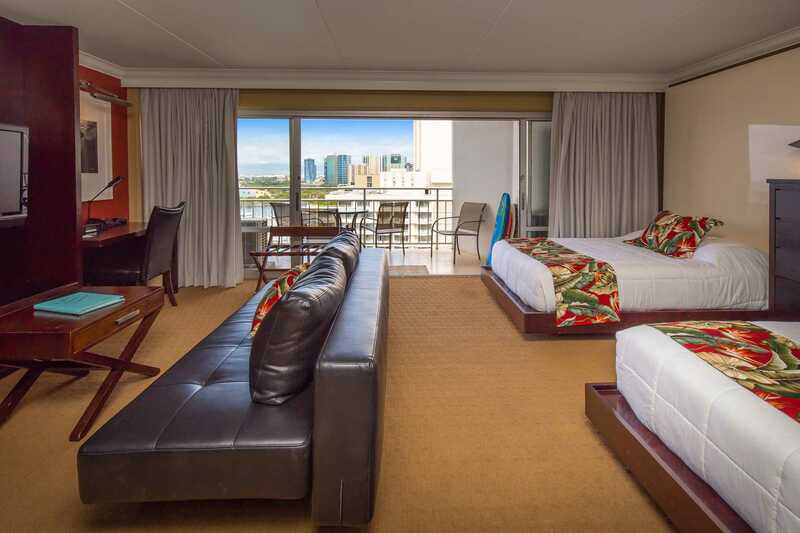 o apartamento e sensacional, muito bem localizado no centro de Honolulu em Ala Moana, muito bem equipado, camas excelente e confortaveis, vista sensacional para marina de Ala Moana e o mar, onde tomavamos nosso cafe todos os dias na varanda,para apreciar a vista! Sinceramente eu nao esperavamos uma hospedagem tao boa!